Over the last decade the popularity of craft breweries in the United States has grown. In 2008, nine million barrels of craft brews were made. By 2014, that number had increased to 22 million. According to the Brewers Association, craft brewers reached 11 percent volume of the total U.S. beer market in 2014. During this craft beer boom, Arizona has produced several local brewpubs, microbreweries, and craft breweries. Gilbert, Arizona’s first brewery. The Arizona Wilderness Brewing Company believes that beer is culture and they have a true passion for what they do. To them, beer is more than just another beverage at the party, or cheap yellow fizzy stuff dad drank while wearing his dirty flannel shirts. They make a large variety of beers from the Refuge IPA, to the O-Line Triple IPA, to the Superstition Coffee Stout, and many more. The restaurant offers up a delicious menu to pair your favorite beer with. Details: 721 N. Arizona Ave. #103, Gilbert, AZ 85233. Open Monday through Thursday 11am-11pm. Friday and Saturday 11a-1am. Sunday 11am-10pm. Four Peaks is probably one of Arizona’s better known craft breweries. The Hop Knot IPA, and Kilt Lifter are two of their most famous brews. If you are interested in an inside view of how beer is made, Four Peaks offers brewery tours. You must be at least 21 years of age to go on the tour and it costs $10. Each tour includes two Taster Tickets good for (1) 16 oz. beer each (may exclude some seasonal and specialty options). Come for the beer, stay for the food. 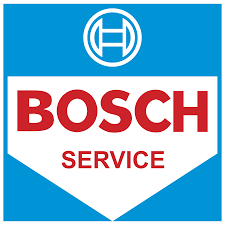 Details: 1340 E. 8th Street, #104, Tempe, AZ 85281. Open Monday through Thursday 11am-1am. Friday and Saturday 11am-2am. Sunday 10am-1am. Happy hour daily from 2pm-6pm. Newly opened in 2016, Helton Brewing Company currently offers five year-round brews including: Rye Pale Ale, Scottish Ale, IPA, Milk Stout, and Pilsner. Helton Brewing Company is located inside a beautiful, and newly renovated 10,000 square foot warehouse. The large space will allow them room to grow and eventually start bottling their signature craft beers. According to the Phoenix New Times, the brewery also serves an array of artisan cheeses, charcuterie, and accompaniments ranging from local wildflower honey to sour cherry mostarda with locally baked Noble Eatery breads. Details: 2144 E. Indian School Rd., Phoenix, AZ 85016. Closed Monday. Open Tuesday through Thursday 3pm-9pm. Friday 3pm-10pm. Saturday 12pm-10pm. Sunday 12pm-7pm. Mother Bunch Brewing inhabits the historic J.B. Bayless building on 7th Street and Garfield. They love hand-crafted beer and food and value exceptional service. They are “committed to using only the finest ingredients as inspiration for every pint and plate.” Cherry Popper is a Smoked Cherry Porter and the first beer that Mother Bunch brewed commercially. They also offer McBride’s Irish Red, Caramel Cream Ale, Old No. 7 Pale Ale, Karnak IPA and Cara Cara Wit. Take advantage of their flights to sample them all! As for the food, they smoke all of their meats in house and make their own signature bread and butter pickles. Details: 825 N 7th St., Phoenix, Arizona 85006. Open Monday through Thursday 11am-9pm. Friday 11am-11pm. Saturday and Sunday 10am-11pm. The Papago Brewing Company features 30 beers on tap at all times. Every time a keg runs out, a different one takes its place. There is never the same lineup twice. The employees at Papago are beer people. They drink it, they brew it, they love it. The staff is very knowledgeable and will help you find the right beer for your taste, whether that is something light, dark, hoppy, sour, or sweet. Their Orange Blossom Ale is a real crowd pleaser. Details: 7107 East McDowell Rd., Scottsdale, Arizona 85257. Open Sunday through Thursday Noon-Midnight. Friday and Saturday Noon-2am. Phoenix Ale made its home in an empty warehouse situated on an acre of land just north of Skyharbor Airport. They started brewing their signature Camelback IPA around June 2011. The Phoenix Ale Brewery Taproom is the perfect place to relax and enjoy a full selection of their beers on draft. They also serve a selection of beers from Sonoran Brewing, which are also produced in their brewery. Details: 3002 E. Washington St., Phoenix, AZ 85034. Open Monday through Saturday from 12pm-7pm. Sunday 12pm-6pm. SanTan Brewing Company has established a strong reputation as one of Arizona’s favorite craft breweries. On top of brewing great beers, SanTan features a friendly neighborhood brewpub in Downtown Chandler, which has quickly become one of the top local food and beer destinations in the Phoenix metro area. SanTan beers have won numerous national and statewide awards including medals at AmeriCAN Championships, the US Open Beer Championship + Canfest Reno. SanTan Brewing’s Mr. Pineapple also has a Silver Medal from the Great American Beer Festival under its belt! Details: 8 South San Marcos Pl., Chandler, AZ 85225. Open Sunday 8am-11pm. Monday through Thursday 11am-11pm. Friday and Saturday 8am-1am. The Sonoran Brewing Company makes its beers in the same building as Phoenix Ale Brewery. They are known for their Wht Chclt Ale (White Chocolate), which leaves the actual taste of sweet white chocolate in your mouth, and their Dfrnt IPA (different). It is a more moderate take on your traditional IPA. Details: Same as Phoenix Ale Brewery. SunUp includes beers like, Trooper IPA, Horizon Hefeweizen, Vanilla Porter, Awesome Amber Ale, Lightrail Cream Ale, and more. Brewmeister, Uwe, worked for the Sonora brewing company for 10 years, and when ownership closed, he opened a microbrewery naming it SunUp. After eight years on a seven-barrel system, an expansion is being built next door. Along with the new state of the art brewing system, using a gas fired kettle rather than steam, they will be making beer in a 15-barrel system from Specific Mechanical. Details: 322 E. Camelback Rd., Phoenix, AZ 85012. Open Sunday through Thursday 11:00am – 11:00pm. Friday and Saturday 11am-Midnight. Details: 2125 N 24th St., Phoenix, Arizona 85008. Open Monday through Thursday 3pm – 9pm. Friday and Saturday 12pm – 10pm. Sunday 12pm-7pm. After spending a long day at the South Rim of the Grand Canyon you may be looking for a place to sit down, relax, and grab a drink or two. Just a short walk from the train station, is a welcome site, the Grand Canyon Brewing Company. They brew 12 different beers throughout the year. All of their beer is served and sold at the conjoining restaurant Cruisers Cafe 66, located directly in front of the brewery. Tours are given upon request, just speak with someone at the restaurant. Details: 233 W. Route 66, Williams, AZ 86046. Open 11am – 11pm 7 days a week. Closed January through February. Mudshark is a solar powered brewing operation and prides themselves at being eco-friendly. They have been experimenting with growing vegetables and want to construct a greenhouse behind their facility to grow food for use at their restaurants. They expect to recycle water used for the brewery in the greenhouse. Mudshark started moving toward reducing their “footprint” about five years ago when they decided to can their brews. Compared to glass, it takes less time to cool in a can and is lightweight reducing fuel shipping costs. They make quality microbrews like the Full Moon (Belgian Style White Ale), and the Scorpion Amber Ale. They offer brewery tours by appointment. Details: 1095 Aviation Drive, Lake Havasu City, Arizona, 86404. Open Monday through Friday 9am-5pm. The Nimbus Brewing Company is the largest brewery based in Arizona and one of the most popular Arizona beers throughout the US. They have six delicious beers for craft beer enthusiasts to enjoy. 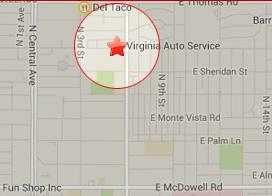 Details: 3850 E. 44th St., Tucson, AZ, 85713. Open Monday through Thursday 11am-11pm. Friday and Saturday 11am-1am. Sunday 11am-9pm. There’s always something fun and entertaining happening at Oak Creek Brewing Co.! Check out their events calendar, bulk beer pricing, and more. Check out the brewery grill in Tlaquepaque. In 2011 The Oak Creek Brewing Company’s Snake Charmer IPA was the silver medal winner at the Great Arizona Beer Festival. Oak Creek Brewing Company claimed a bronze medal in the Brewer’s Association World Beer Cup 2006, a global beer competition that evaluates beers from around the world and recognizes the most outstanding beers being produced in the world today. Details: 2050 Yavapai Dr., Sedona AZ 86336. Opens at noon seven days a week. Or, 336 Rte. 179 Sedona, AZ. Open from 11:30am-8:30pm. The Prescott Brewing Company celebrated its 20th anniversary in March of 2014. They offer an excellent, casual, yet professional, dining experience for our guests, never pretentious, emphasizing “fun & friendly brewpub style” menu selections and service. Hand-crafted beers are brewed on site and are available to go. This list of beers on tap is updated on a weekly basis. The Achocolypse, Chocolate Porter, is a delicate blend of dark and bitter chocolates infused into a classic Porter. It is AMAZING. Details: 130 West Gurley Street, Prescott, AZ 86301. Open 11am-10pm daily. 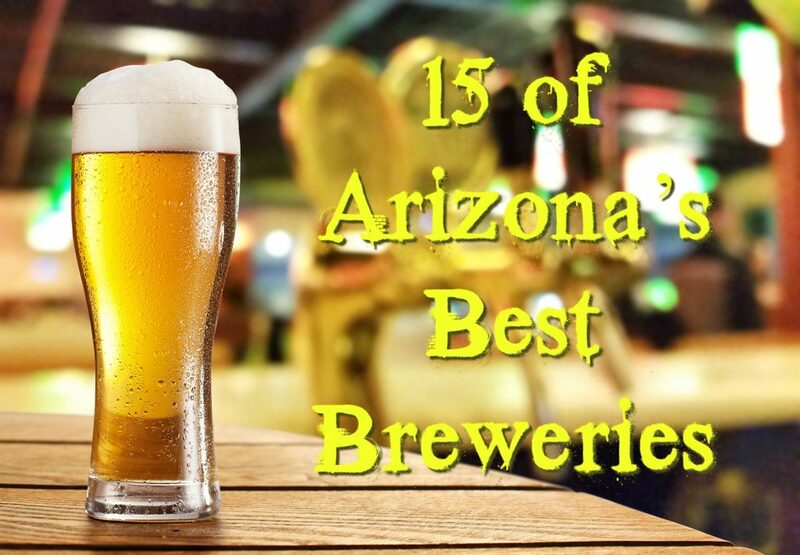 Arizona has over 70 craft breweries, which makes it impossible for us to list them all. Did we miss your favorite? What is your go to local brewery and beer? *Please remember to never get behind the wheel of a car if you have been drinking.